If you asked 100 people who the most influential person to ever wear a UNC jersey was, 99 of them would say Michael Jordan. What if i told you that just wasn’t true? What if I said there was someone who made it possible for MJ to even attend UNC? On December 15, 1948 in New York City, New York a legend was born. 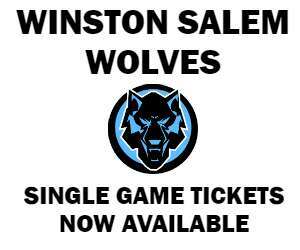 One that would change the landscape of North Carolina basketball forever. Charles Thomas Scott would soon realize he would have a much grander impact off the court, than he ever would between the baselines. Scott was raised in Harlem and didn’t have a picture-perfect home life. Although he wasn’t dealt the best hand at an early age, he turned his focus to academics and sports. As he grew older he excelled in both avenues equally. Ultimately reaching 6’5” and yielding the athleticism of a guard, Scott became one of the greatest players to step foot on the famous courts at Rucker Park. He was eventually known as a Rucker legend. After transferring to Laurinburg Institute in Laurinburg, North Carolina, he remained committed to his academics and graduated valedictorian of his senior class. Between his athletic ability and his abundant academic resume, Scott was a highly touted recruit. Little did he know, the school he would soon choose would change the fabric of the game. 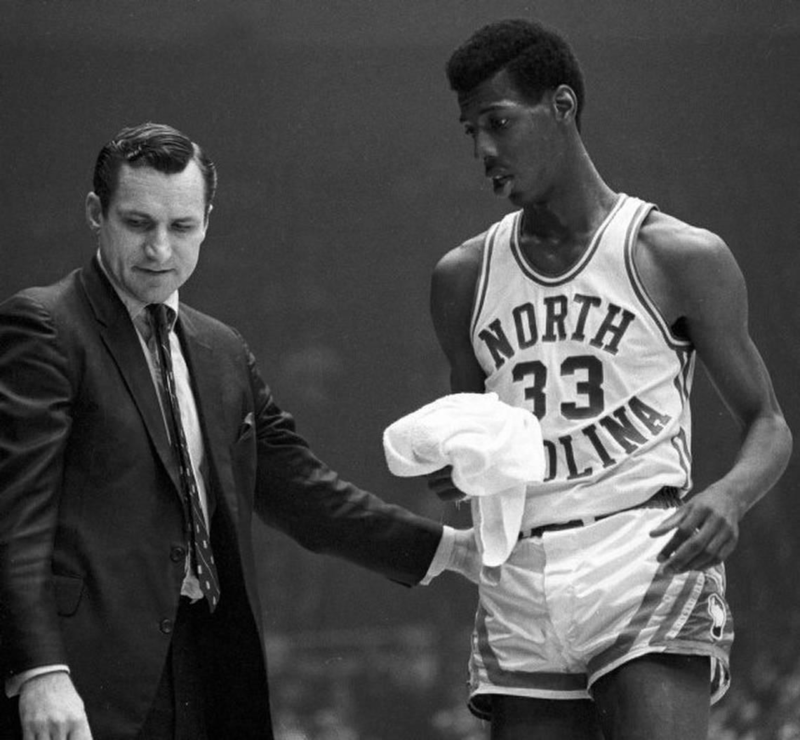 Dean E. Smith replaced Frank McGuire as the Head Coach of the North Carolina Tar Heels in 1961. After five years with no real success, let’s just say he hadn’t fully gained the Tar Heel faithful’s trust as a worthy replacement. The 1966 season was where it all turned around. Winning 9 of its last 11 games, Smith finally had the program headed in the right direction. This had to be a contributing factor while recruiting a certain “Rucker legend” right down the road in Laurinburg. The south in the 1960’s wasn’t the friendliest of atmospheres for African-American athletes. Coach Smith was always an advocate for change, especially for the right that everyone be treated equally . In 1964, Smith joined forces with a pastor and a black theology student to desegregate The Pines–a Chapel Hill restaurant. In 1965, he helped a black graduate student purchase a house in an all-white neighborhood. These events would foreshadow what was to come in the years ahead. The relationship between Scott and Smith would prove to be one of the most important relationships in the history of UNC basketball. The UNC basketball program had never had an African-American scholarship athlete but the recruitment wasn’t based on race, it was strictly based on Scott’s ambitions and goals in life. In an interview with CAROLINA: The Magazine Scott said, “Coach (Dean) Smith never talked to me about race when he recruited me. He talked to me about coming to the University of North Carolina, playing at the University of North Carolina. Those were the conversations. What were my plans for later in life, what did I want to major in, those general conversations. Coach Smith never talked to me about ‘You’re coming here to be the first black scholarship athlete.’” Smith wanted to make sure Scott knew that nothing in the process would be a social statement, regardless of the narrative. Smith invited Scott to church with him the Sunday he was in town on his campus visit. Scott stated this was a “change in format” and it proved that it was Smith being his “normal self” and it showed his “normal character and personality”. Even though this recruitment was a monumental move, neither Smith nor Scott viewed it as anything other than a time where America was in the process of change. Together they just happened to be a small piece of that change. Scott dealt with things that no other player in America had to deal with, and handled himself with dignity and grace. Although he doesn’t consider himself a pioneer, I don’t see a more fitting word that could describe him. Without Scott, there would be no Worthy, Ford, or Reid; no MJ, Carter, or Jamison. No Stackhouse baseline dunk over two players, no Danny Green dunk over Paulus, no Marcus Paige buzzer beaters. Charles Thomas Scott was by far the most influential player to ever play for the Tar Heels, and I have so much respect for the courage it took to be the one that made a difference in a world that shunned different. Earlier this year Scott was elected to the Naismith Memorial Basketball Hall of Fame, a perfect ending for the most influential trailblazer of UNC athletics history— paving the way for some of the most impactful black athletes of their time in college hoops.